PE lock will be given to student to use during class. 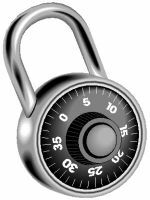 If lost or damaged a replacement lock may be purchased for $10.00. Student must use school lock.